CEOs/ MDs - Are you up for the Challenge? We know that one of the biggest challenges for businesses currently is to deal with the decrease in demand in their home market. Exporting is clearly one option which can significantly help increase turnover and enhance business performance. For a first-time exporter, trading in the opposite jurisdiction is the perfect place to begin. It is geographically closer, there are no language barriers and companies can gain valuable experience managing a different currency before moving into more complex European markets. Cross-border trade is valued at €2.5bn so substantial opportunities in the opposite jurisdiction still exist, however many small businesses quite simply just don’t have the time, resources or knowledge about where to start. This is where a Skilled Graduate can help! InterTradeireland will fund up to 50% of the cost of employing a graduate in the first year. 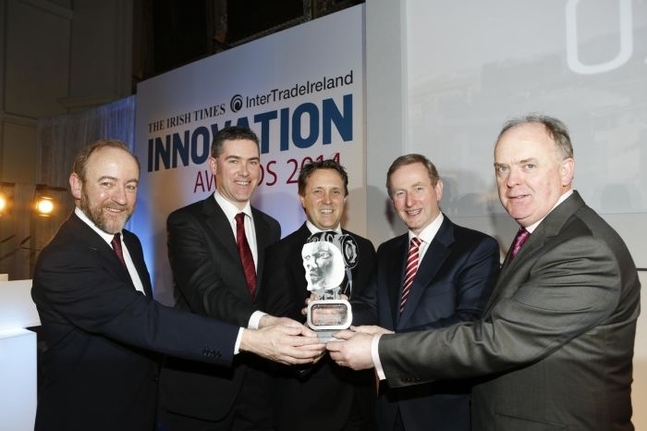 InterTradeIreland will cover recruitment and training costs. The graduate once in place will help assess the market potential and develop a tailored strategic approach to exporting that can be replicated in any market. InterTradeIreland also provide the graduate with specialised training in sales management skills leading to a Post Graduate Diploma in Sales Management Practice. After a six month induction period the sales graduate should be capable of becoming the business developer for your business and help you deliver in your target market, essentially becoming a key player in your sales development team. To find out more visit www.intertradeireland.com/acumen or call Paddy Savage on 028 30834110 (048 from Ireland).